By joining list you wish to receive e-mail notifications from A Better Choice Pro Shop. 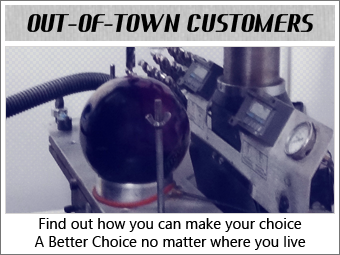 A BETTER CHOICE PRO SHOP - Two locations serving our bowlers in the Greater Rochester and Western New York area, as well as our out-of-town customers and Lilac City Tournament competitors from all around. Stop in and see our full stock of the latest bowling equipment, or ask about lessons to help improve your game. Make your choice... A Better Choice.